Moving. 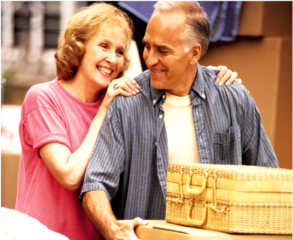 It is much more than simply boxing up your belongings and loading them into a moving van. It can be especially stressful for seniors who have accumulated a houseful of possessions over the years. It is a challenge to figure out what to keep and how to get rid of the things you don’t want. Just the thought can be overwhelming for many – so overwhelming that they choose not to deal with it all. They continue to live in a home that is too large for their needs or not suited for their current situation. For those who need some guidance in preparing for a downsizing move, Senior Downsizing Experts Ingrid and John Sullivan will present a free “Downsizing Made Easy” seminar on July 21 at 10:00 am at the Hurst Senior Activities Center located at 700 Heritage Circle. 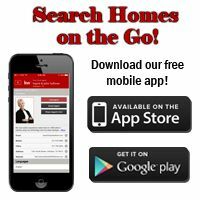 During their hour-and-a-half presentation, the Sullivans will discuss questions to consider before making a move, senior living options in the DFW area, advice for touring senior living communities, tips for hiring various professionals related to the moving process, guidance on estate sales and more. They urge attendees to look at all of the options available for a new chapter of life that requires less maintenance and allows for more freedom and fun. Featured guest speakers will include specialists in Title and Escrow, Packing and Moving, Home Repair, and Estate Sales. To reserve your spot for the free seminar, contact the Hurst Senior Activities Center at 817-788-7710.